During an exclusive interview at MMAHQ, Paul Daley said that he will crash Nick Diaz. Can he really beat the champion? Strikeforce were able to make huge fights for the past few months, and it seems they’re not taking a halt with their April 9 card. Kicking off at San Diego, California, the promotion’s upcoming event will green lit a Nick Diaz vs Paul Daley championship fight. Paul Daley is coming from a first round knockout win over Yuya Shirai at BAMMA 5. And with the Strikeforce’s event fast approaching in just a couple of weeks, the UK wrecking machine took the time to talk with the people at MMAHQ. When did you first hear that Strikeforce wanted the Nick Diaz fight to happen as soon as April 9th? Well it was the week of my fight when I heard a few different things but Strikeforce had announced that they were moving the heavyweight tournament around a little so we expected maybe to hear something. Not long after I beat Shirai, my manager got the call asking about fighting Diaz on 9th April. I think when Strikeforce knew that the heavyweight tournament would have to be moved then my fight with Shirai was the one result they were waiting for. Do you think you’ve got enough time to prepare for someone as dangerous as Nick Diaz? Well first I wasn’t going to take it because I wanted some downtime after this training camp but my team spoke about it and we’re confident that we’ve got a good game for this fight and this is the right decision for us. I’m going to smash him, take his belt then I can take all the time off I want. Do you honestly think that Nick Diaz will stand up with you? There’s no way he’ll stand up with me. He might think he wants to but his coaches won’t allow it; Cesar Gracie’s a great coach and he won’t want him trading punches. 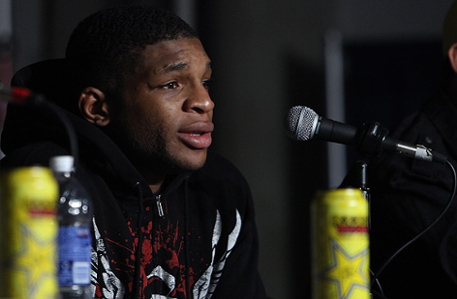 Check out the full exclusive interview with Paul Daley at MMAHQ.